Resident Evil 4 cheats and unlockables – Resident Evil 4 is a survival horror action-adventure video games developed and published by Capcom. It is the sixth games in Resident Evil game series with zombie as its trademark. There are several Resident Evil 4 cheats and codes that can be used to help players complete this game. In this article, we will provide Resident Evil 4 unlockables such as how to unlock costumes, characters, weapons, secrets and mini games in Resident Evil 4. 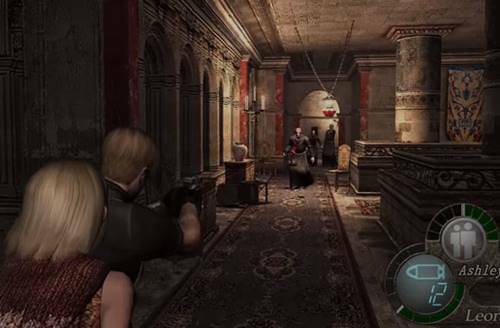 RE4 released in 2005 initially on PlayStation 2 (PS2) consoles, although in the coming years alson released in several other platforms such as PS4, Xbox 360, Wii and other game consoles. This game is major success, both commercially and critically. It praised with its storyline, gameplay, concept and gameplay, popularize third-person shooter style and quick button feature as well as survival horror main theme. To date, Resident Evil 4 is considered as one of the best PS2 games of all time, and even one of the best video games in any consoles of all time. There are several Resident Evil 4 codes and cheats available in this game. Some Resident Evil 4 secrets and guides also can be found in many game forum. But in this articles, we focus only discuss about Resident Evil 4 unlockables. Here are Resident Evil 4 cheats about how to unlock costumes, characters, weapons, mini-games and other unlockables in Resident Evil 4. There are several Resident Evil 4 unlockable items and if we did correct, we can unlock all of it. This game may released long years ago, but to date this games still played by many players around the world. Can you send me unlock weapons vidoes from E-mail?